While on the phone with a customer I heard the most awful racket outside. 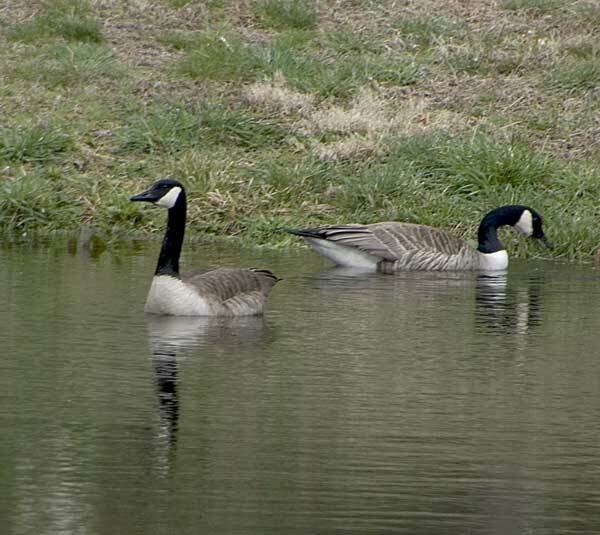 The neighbor’s dogs were going crazy and I heard “honk, honk, honk”. Much to my delight two beautiful Canadian Geese landed in our pond out back and hung out for awhile before continuing their voyage.